I LOVE fresh flowers. To my precious little cat they are poisonous (well, the ones that I like are). It’s something about the way they make your house look. When something fresh is added to a space, it instantly spruces it up. However, if you still have a dusty fake ficus sitting in the corner, you know who you are, you need to get rid of it ASAP! This photo was unfortunately taken in my bathroom. I didn’t want my cat to eat them and die. Because that would be sad. 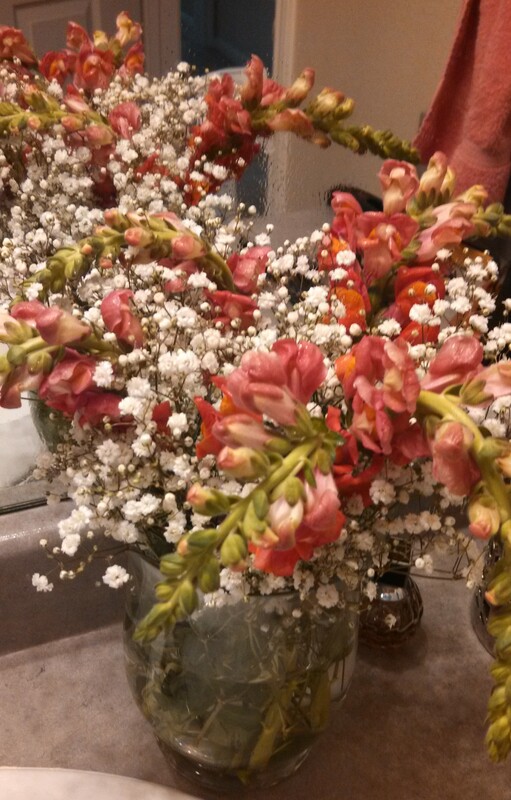 BUT the flowers were a hit with my mother and she took them home with her!